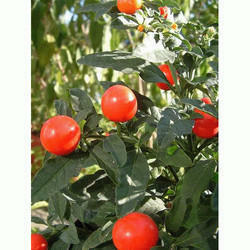 Leading Manufacturer of custard powder, oregano leaf powder and bhoyringli solanum xanthocarpum from Ahmedabad. Custard is a variety of culinary preparations based on a cooked mixture of milk or cream and egg yolk. These delicious and calcium rich custards are processed under hygienic conditions using high-grade ingredients. 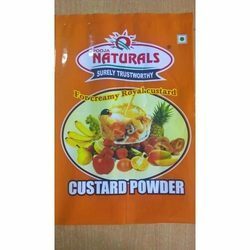 Pooja Traders is leading Custard Powder Manufacturers in Ahmedabad, Gujarat, India. 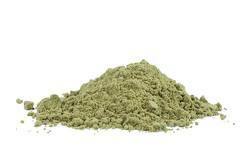 The custard powder offered by us is nutrition rich and available in attractive packing. Further, we also offer a wide variety of flavours to ensure maximum satisfaction of the clients. Custard Powder Manufacturers and supply in all over India. This Powder is widely used in food and beverage industry and even in parties. Also in used in cakes, biscuits, ice creams, and other dairy products. It can also be served with truffles, cakes and pastry fillings. What are some health benefits of custard Powder? Store in an airtight container in a cool and dry place away from direct sunlight and humidity. Oregano is a Mediterranean herb that is used for cooking and medicinal purposes, ranging from treating infections to repelling insects. We are devoted towards offering the qualitative range of Oregano Leaf Powder as per client’s precise need and requirements. Our Powder is widely demanded in medium and large-sized enterprises in all over India. Looking for Custard Powder ?